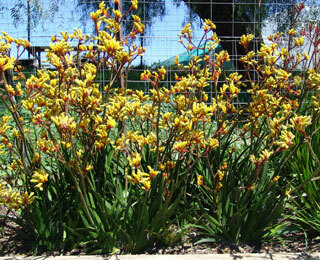 Description: ‘Gold Velvet’ is a very tough, mid-sized, landscape Kangaroo Paw. 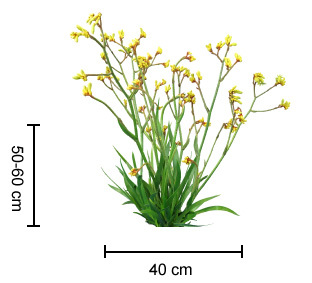 It displays stunning 1m tall flowers for most of the year. 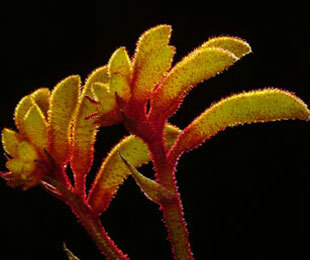 Compared to other Kangaroo Paws, it has more resistance to black spot and needs less trimming. Size: 50-60cm high x 40cm wide. Uses: Mass planting, pots and low maintenance gardens or landscapes. For lowest maintenance it is best planted behind/in between evergreen strappy leaf plants. Position: Full sun open position. Best suits well drained soils or raised gardens, avoid wet feet. Tolerates frost and drought. Care: Water as required for 8-13 weeks until established. 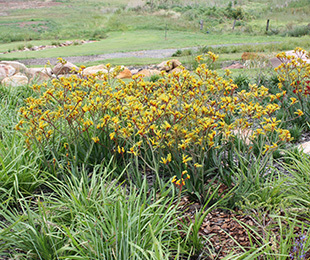 Plant in a well mulched garden (chunky mulch is recommended). Ensure crown or base of plant is not below soil level. If required use a native slow release fertiliser in spring. Remove older flower stems and cut back foliage every 1-2 years, unless planted in bands between strappy leaf plants. For more detailed information on ‘Gold Velvet’ click here.